Alcohol and marijuana are the most common mind-altering substances used by teens. But parents should be aware that illicit drugs and alcohol are not the only substances kids use to get high, said Dr. Crystal Cole of the Division of Adolescent Medicine at Akron Children’s Hospital. Teens have been known to abuse products you might never suspect, including motion-sickness pills and even hand sanitizers, which contain alcohol. But No. 1 on the list of ordinary products that can produce a high if taken in large doses are cough and cold medicines containing dextromethorphan, or DMX, Dr. Cole said. These over-the-counter medicines come in tablet, capsule, gelcap and liquid form – and they are easily accessible. Research shows DMX abuse is common. Often referred to as “Triple C” (for Coricidin HBP Cough & Cold medicine), large quantities of these over-the-counter (OTC) cough medicines can cause hallucinations, loss of motor control and a host of ill effects, including seizures and brain damage. 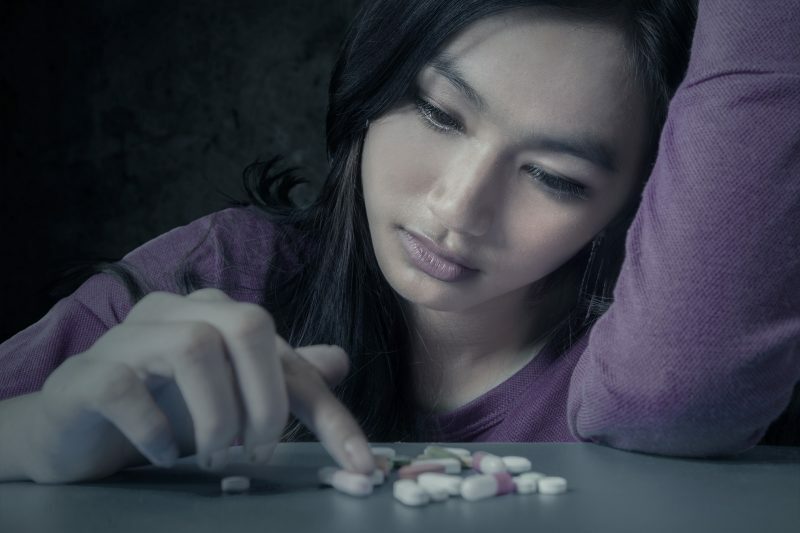 Teens who abuse the products expose themselves to dangerous amounts of acetaminophen, a pain reliever more commonly known by the brand name Tylenol. “We see a lot of Triple C. That’s what’s happening now,” Dr. Cole said. “I’ve seen patients trying to get high off Triple C, and they end up getting admitted to the hospital for Tylenol overdose. Kids also abuse a cough medicine cocktail referred to as “sizzurp” – also known as “lean” or “purple drank.” Popularized by the hip-hop culture, it’s a mixture of codeine-based prescription cough syrup, Sprite and Jolly Ranchers candy. The combination of codeine and a drug called promethazine in the cough medicine can affect the nervous system and slow breathing. It can cause memory loss, impaired vision and other ill effects. When mixed with alcohol, it can be fatal. Other substances that can be abused for a high include Imodium A-D, a diarrhea drug that can mimic effects of opioids in large doses, and inhalants such as aerosol gases. Dr. Cole urges parents to consider locking up certain over-the-counter medications in addition to prescription drugs. Avoid stockpiling OTC medicines that can be abused, and if they are in your medicine cabinet, keep track of how much is in the containers. Also, monitor your teen’s internet use, as DXM is often sold online. Talk to your kids about cough and cold medicines. Just because they are sold in drug stores, doesn’t mean they are safe.